Gardenofsound is a long established voiceover studio that has worked with some of the best voice professionals in the industry. Voice over casting, directing and recording for games, animation, dubbing, etc. 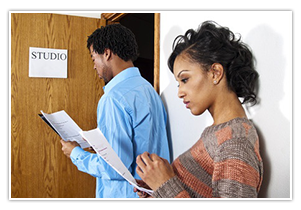 As a low cost studio, our studios are frequently booked up. When we take a booking, we often turn away business to accommodate your request. Therefore have found it necessary to charge the full rate for last minute cancellations. Thank you for your understanding. Cancellation Policy – We request a 24 HOURS NOTICE in order to CANCEL/POSTPONE A SESSION without incurring charges – thank you. For more information about Garden of Sound, please contact us through our website by clicking here, e-mailing us or give us a call at 323-230-8249.